By Jacob Abbott. 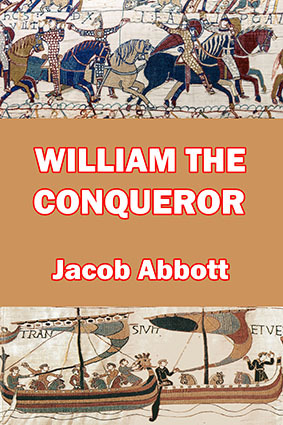 American master storyteller Jacob Abbott’s classic work on William the Conqueror tells the dramatic story of the Norman nobleman who conducted one of the most audacious invasions in European history and thereby wrote his name into the annals of immorality. Starting with the origins of the Norman people, this work explores—in typical easy-to-read Abbot style—the background and development of William’s home, and of his reign in Normandy. Also included are the stories of Matilda, Emma, and his son Robert’s rebellion. The story then moves on to political developments in England, and how William became, along with two others, a claimant to the English throne. 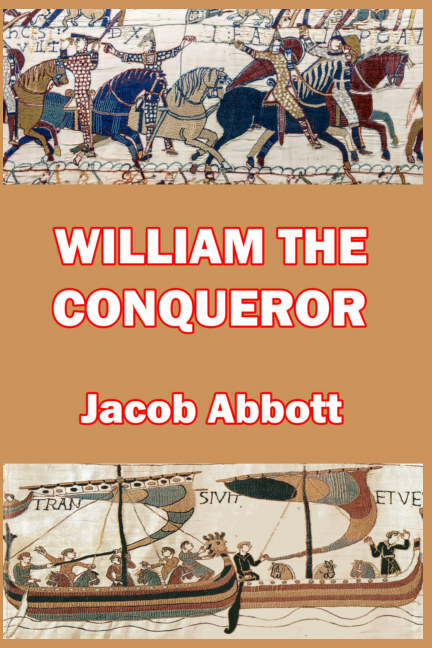 Determined to seize the kingdom of England for himself, William raised an army of mercenaries on the Continent, equipped an invasion fleet, and sailed across the English Channel in 1066. His subsequent victory at the Battle of Hastings, his seizure and consolidation of power as William I of England, and the writing of the famous Domesday Book, all form part of this enthralling story of European history. About the author: Jacob Abbott (1803–1879) was a native of the state of Maine who was a professor of mathematics and natural philosophy, a minister, and founder of two schools (the Mount Vernon School for Young Ladies in Boston and the Mount Vernon School for Boys, in New York City). He wrote more than 180 books and became famous for his easy-to-read style of history storytelling, stripped of the dry dustiness which characterized other texts.